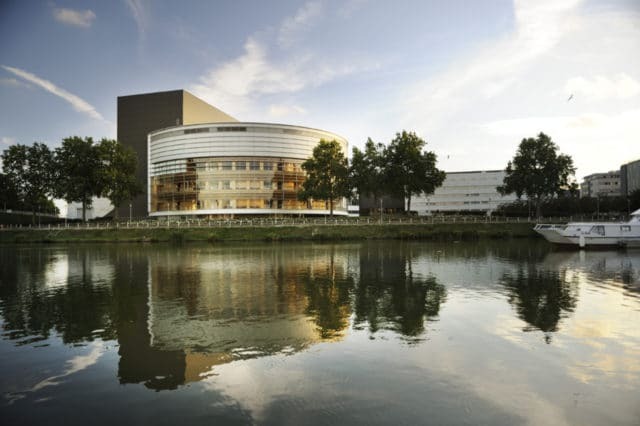 La Cité Nantes Events Center is hosting a variety of major events in this cutting-edge field, a highly developed and dynamic sector in the metropolitan area. Researchers and companies specialised in the science and technology sector have found in Nantes a uniquely well-suited location. In 2019, several national and international meetings will be held at La Cité Nantes Events Center where scientists will discuss their research findings and present their innovative solutions. Bringing the scientific community together in one place is no coincidence. Since 2005 with the creation of the competitiveness cluster EMC2, dedicated to advanced manufacturing technologies, Nantes has shaped the highly strategic sector around internationally recognised centres of excellence. Driven by leading companies such as Airbus, Naval Group and Daher, Nantes is laying the foundations for tomorrow’s industry. This is shown by the numerous projects developed within the Jules Verne innovation centre, an industrial research centre dedicated to manufacturing. In addition to EMC2, it is home to a Technological Research Institute (IRT), the Technocampus Composites and the Technocampus Ocean, as well as a prototyping workshop (FabMake), soon to be joined by a Manufacturing Academy. United, since 2014, under a single name « Jules Verne Manufacturing Valley”, these collaborative organisations work with engineers and academics to develop new manufacturing techniques based on research conducted on material transformation. At the same time, the many links established for over ten years between La Cité Nantes Events Center and the main research and academic organisations (Ecole Centre, EMC2, IRT Jules Verne, Atlanpole and Nantes University) «provide support for the organisation of conventions driven by local scientists and businesses», outlines Olivier Le Floch, Business Development Manager at La Cité. He adds that «these partnerships represent strong development leverage for all economic players who want to give national and international visibility to their areas of expertise through corporate events». This also benefits the city of Nantes, as the local conventions strengthen the attractiveness and global outreach of the destination. • ISEECap 2019 (International Symposium on Enhanced Electrochemical Capacitors). The symposium, initiated by Nantes University and Institut des Matériaux, will celebrate its 10th anniversary at La Cité Nantes Events Center (from 6 to 10 May / 150 participants). • 27th Conference on Thermal Engineering, led by Nantes University and Institut des Matériaux (from 3 to 6 June / 350 participants). • 24th General Conference of the French Physical Society (Société Française de Physique), led by Nantes University and Institut des Matériaux (from 8 to 12 July / 500 participants). • 36th IASP World Conference (International Association of Science Parks and Areas of Innovation), led by Atlanpole (from 24 to 29 September / 1,000 participants). • Composites Meetings 2019 organised by EMC2 and IRT Jules Verne (13 and 14 November /800 participants).